The technological breakthrough came when we were able to isolate the very substance that plants use to fight disease. As with all our products, AU60 ROOT REPAIR has undergone extensive trials. 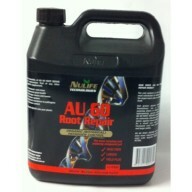 AU60 ROOT REPAIR is not a toxic pesticide. It’s an organic, naturally occurring substance that controls disease.